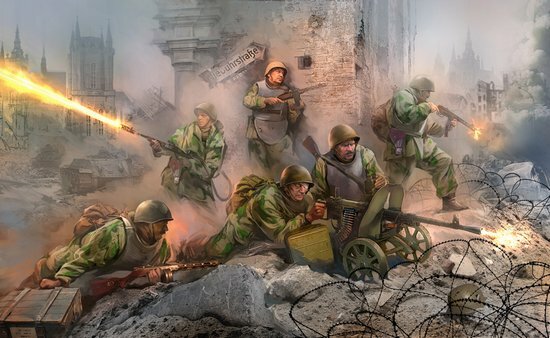 Earlier this year Warlord Games / Bolt Action Miniatures announced that they would be releasing some WWII Assault Engineers. I felt I needed them for various reason. Most of all since I wanted some minis to represent some crack Soviet units on my tabletop. 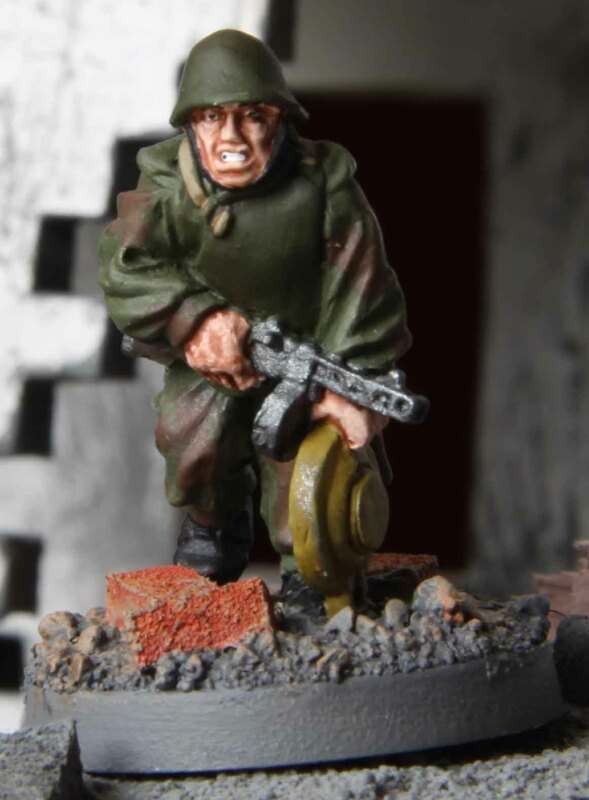 The other reason that I actually have two scenarios that I want to play in due time that call for Assault Engineers. But I have to admit, that I ordered them with an uneasy feeling in my stomach. 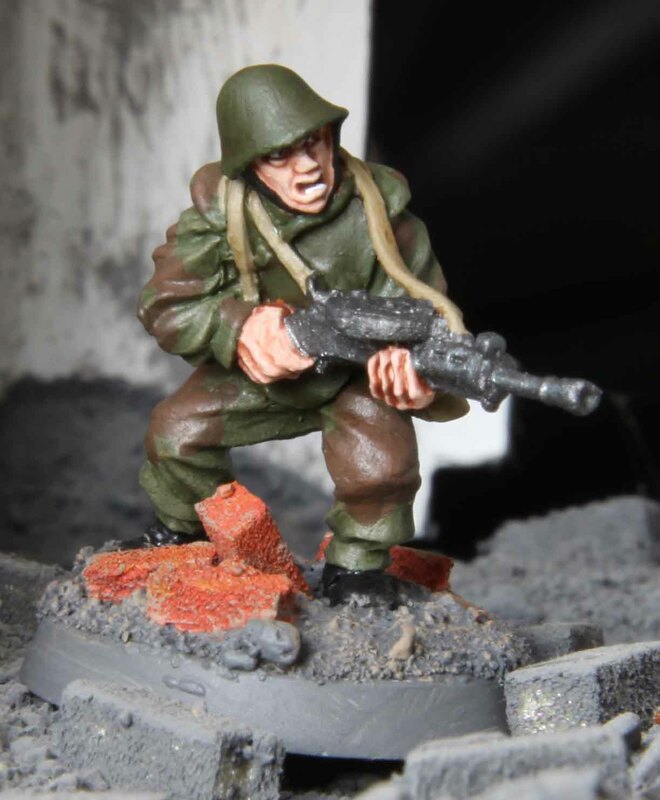 I do not like to many of the Bolt Action minis that were released over the past two to three years (those not sculpted by Paul Hicks) since they have extremely cartoonish faces. It was a pleasant surprise when these arrived. While some of the faces were still exaggerated, other were not. And those that were, looked more Asian or Mongolian then cartoonish, which was fine by me. To be honest, just saying that I was not disappointed by the faces like I had expected would not do these minis justice. 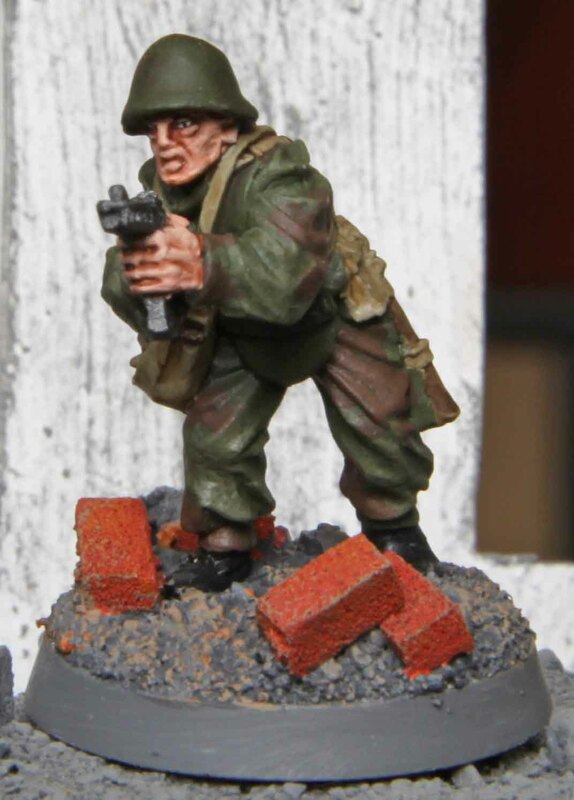 IMHO these are the best minis from the Bolt Action line around and they proved to be a joy to paint. As I have said before, Soviet WWII uniforms leave me bored, so I did not put too much effort into the rest of them by just using washing techniques. From the moment I unpacked these, I felt they really deserved better, so they were painted in a classic way. 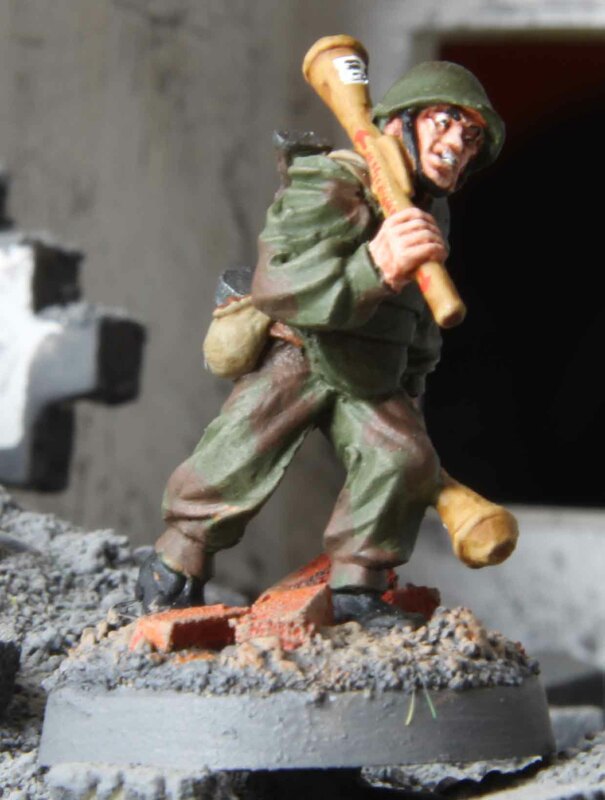 Now this mini with the flamethrower decided for me how to base the unit. 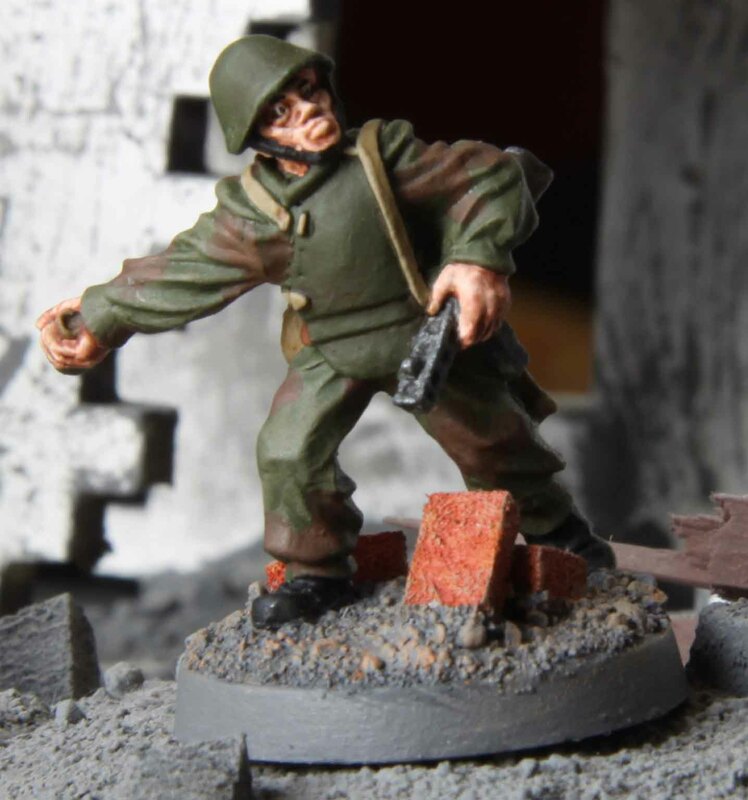 I honestly would have loved to base them in an earth and grass style like I based my other Soviets, but he had some bricks and rubble between his feet. So I had to add some more to his base and all the others (which came with plain integral tabs). I usually do not like it when a company puts stuff like that on the tabs, forcing me mimic it with my basing, but in this case I think it added to the unit, so I am happy with it! 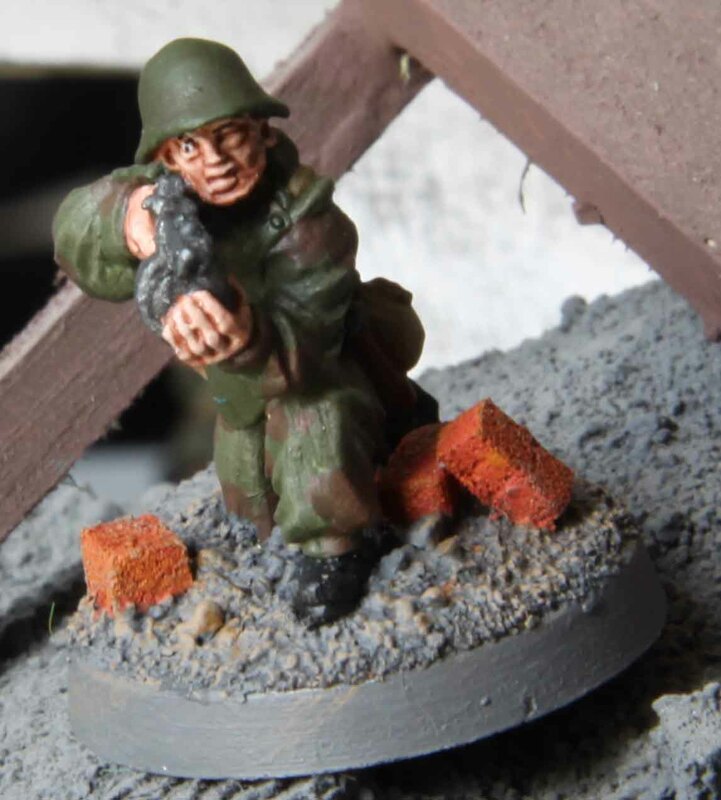 But these were not the only Soviets recently finished… I also did a 120mm mortar team. 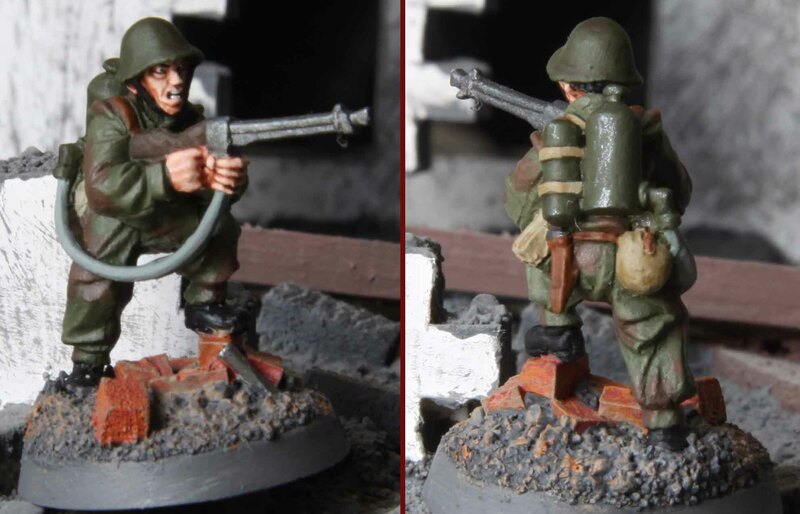 They were done with a simple washing technique though (again I am bored by the standard WWII Soviet uniforms). And I have to say I was slightly disappointed by these. Bolt Action put no new minis into this set, just recycling some of the artillery crews. To add a little variety I swapped the head of one of them with one I had left over from the Engineers. While these do not fit the Engineers in either quality or looks, I did not want to open a new post for them. Good grief mate they turned out well….. Beautifully painted!!!! And fantastic looking terrain! Wow. These are really nice. Great work! Great! These soviets are fantastics! 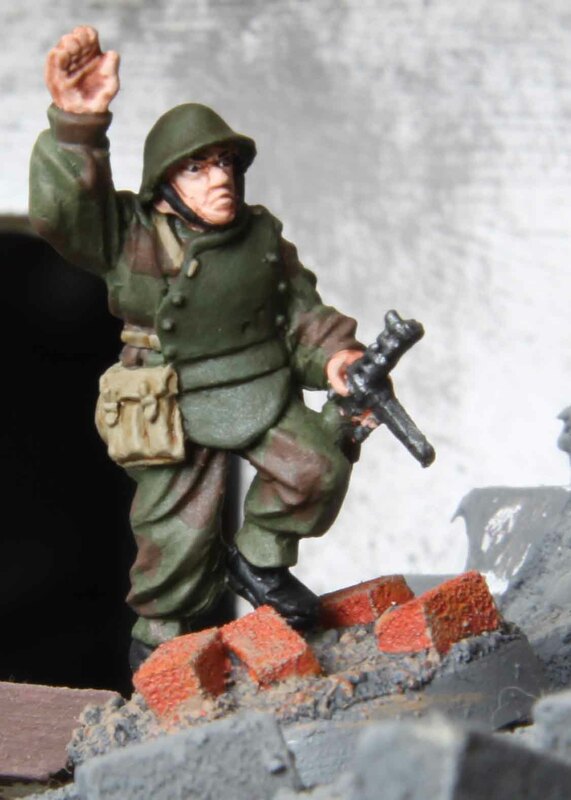 Really lively and colorful figures and I do love the basing. 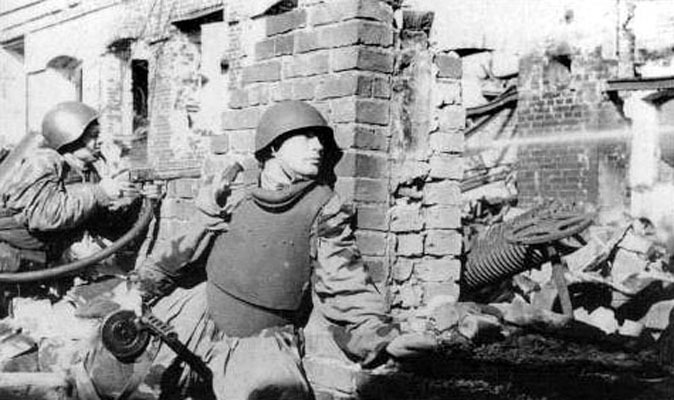 I didn’t know that Soviet engineers wore body armor in WW II until reading this! I do not think that this type of body armour was too common. If you search for photos you will only find four contemporary ones (three of which look like they were taken on the same occasion with just a few men). I would imagine that there would be more propaganda photos of them if this body armour had been more widespread. So I guess it was only a few crack companies, that got them.